Being a dancer has taught me so many valuable things: discipline, a healthy lifestyle, self-expression, confidence... just to name a few. That being said, I attribute most of these lessons learned to the girls who danced beside me through it all. And by through it all, I mean thirteen years - and counting. 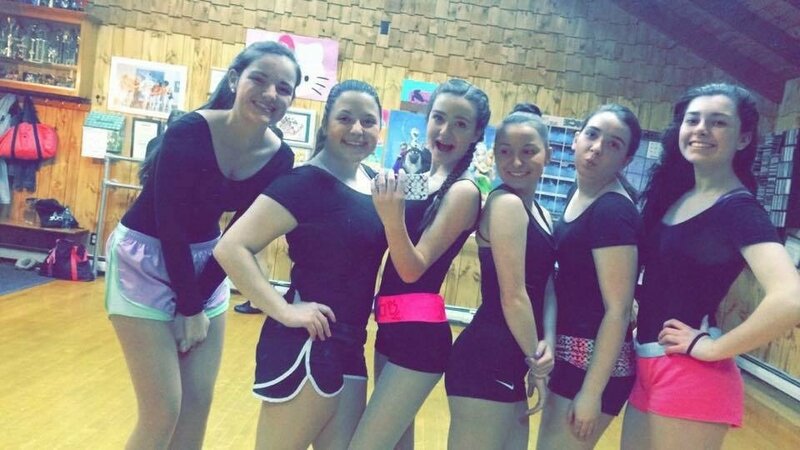 Having belonged to a small dance studio, the majority of the girls in my first class were the girls I struggled saying goodbye to in my last one. We were practically babies when we first stepped into the studio with our little ballet slippers, and really only there because our moms signed us up. Nonetheless, as the years went on, we developed a passion together… and that forms a pretty special bond. Doing something you love, with other people who share that interest can form some incredible friendships; and I can speak to that, all these years later. The great thing about being part of an organization outside of school, is that you have the opportunity to meet a whole different group of people whom you otherwise wouldn't. Each Thursday night, I walked into the studio with girls from all different schools, towns, grades, and interests, to do something we love. It is so refreshing being with people who you can learn from and form a different relationship with than the people you see daily at school. Don't get me wrong, I love my school friends - some of them are my absolute favorite people - but I believe there is value in making friends with people in an environment you choose to be, rather than in one you were forced to. Everyone wanted to be at the studio, because it was an escape - safe space where you could forget whatever is on your mind and immerse yourself in doing what you love, with people you love. Each day was just another day closer to the next Thursday. 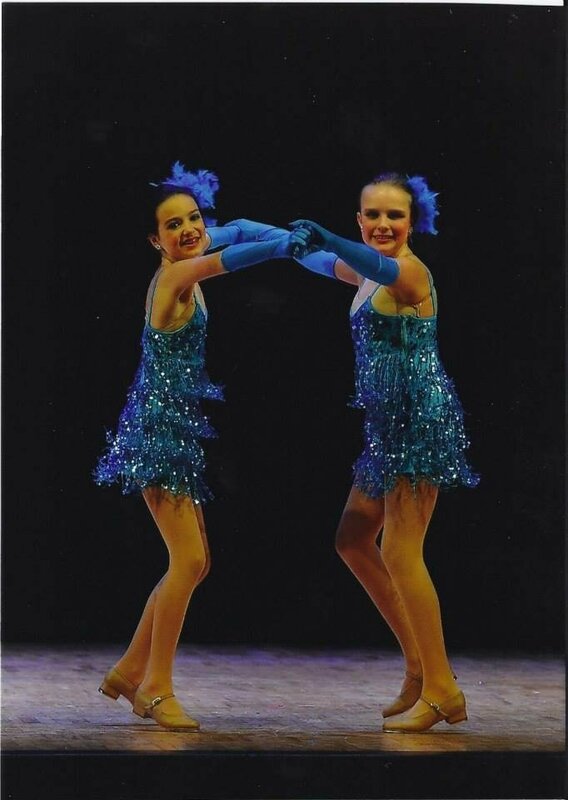 As we got older, weekly dance classes turned into long weekends spent at competitions, seven-hour rehearsals, and even working alongside by besties to teach first-grade classes - most of us incorporated dance as much as we could into our lives, and became besties through it. Oh, and many unforgettable memories made along the way - waking each other up at 5:00am in Boston to attempt to do each other's hair before convention, inside jokes about the girls who stole our doughnuts at our favorite competition, improving dances together when we forgot them on stage, swearing the studio is haunted because the music skipped… and infinitely more. So, to my Thursday girlies, thank you… all twelve of you. Whether the hardest things in life at the time were worrying about my mom's health, or undergoing some pretty draining senior year drama, you guys were always there for me. I always knew if I needed anyone, all I needed to do was call. It was such a pleasure sharing the studio, the stage, and many (many) bobby pins with you. Who knew one tiny room with a mirror and a barre could create a lifelong friends - ones I grew up up with and consider family - sisters. Who doesn't love a hater? With a colorful past of controversies, running my mouth, and criticism, I know haters better than most people. Haters gonna hate, right? Well, some people take what haters say close to heart. Words hurt, especially when people are talking about you in a negative way, in person or through the internet. As much as I've hated haters as the next guy, there is one thing I have had to teach myself along the way. Love that you have haters. You might think I sound crazy, and I know I do. BUT just think, how does someone get haters? BY BREAKING THE STATUS QUO AND ATTEMPTING TO MAKE A DIFFERENCE. I'm a pretty outspoken individual in case you haven't noticed already. From some articles that I have written, or words spoken on a podcast I formerly hosted. However, I will hold myself accountable because there were times I did cross the line in what was being said. But on the other hand, when I wasn't going too far, some of the haters were just hysterical. A while back there was an Odyssey article I wrote titled "I am A Millennial and I Am Embarrassed of My Generation". When posted, I had a thread of about 300 comments saying that I am wrong, privileged and that I should go die. (Yes, my haters have gone as far as saying they are going to kill me for what I was saying.) While reading the threads, I couldn't help myself but laugh. I took these comments as a win because what I have done was making a difference in how people think. A lot of people agreed, and a lot of people disagreed. Someone even wrote a counter article against me telling me that I am a literal "piece of sh*t". Ha! That one might be my personal favorite. From that article and so on I just kept writing about what I wanted to write about and creating what I wanted to create. I wasn't going to let some nobody tell me that I am "garbage". From working for what I have, standing up for myself, and not taking any more crap has accumulated some hateful followers. And in all honesty, I love it. Don't go out of your way to get haters. Do what you have to do to better yourself and be successful. The haters will come, and that is just because they are jealous of you making a difference. Do your thing, love yourself, and let the haters hate.